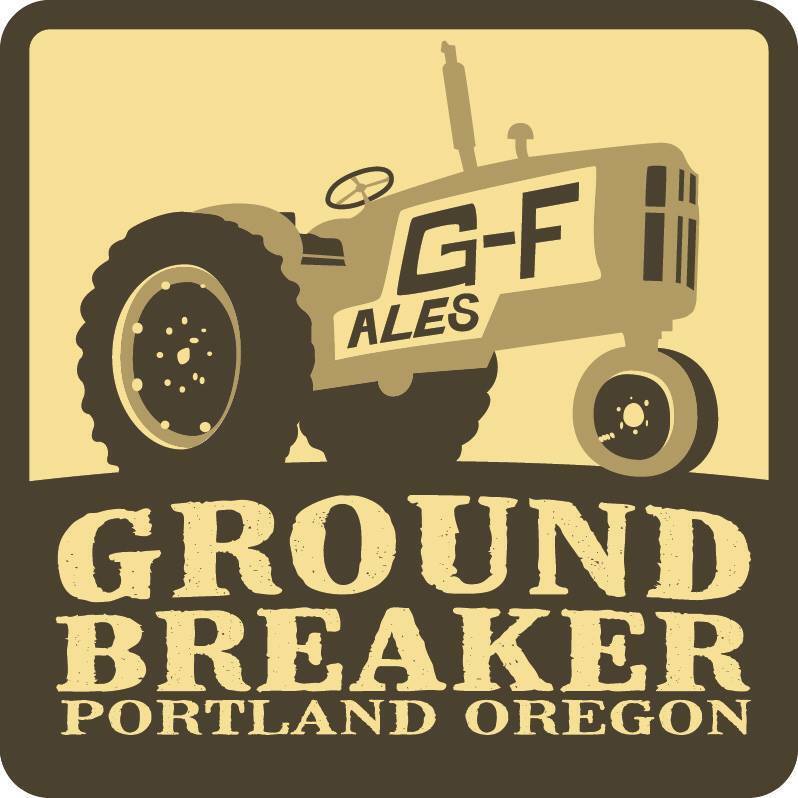 After a successful crowd sourcing campaign on Kickstarter earlier this year, Portland’s Ground Breaker Brewing will soon begin to can a few of its beers. The first two beers to be canned will be IPA No. 5 and Olallie. This will be a huge win for craft beer fans that also happen to suffer from celiac disease. 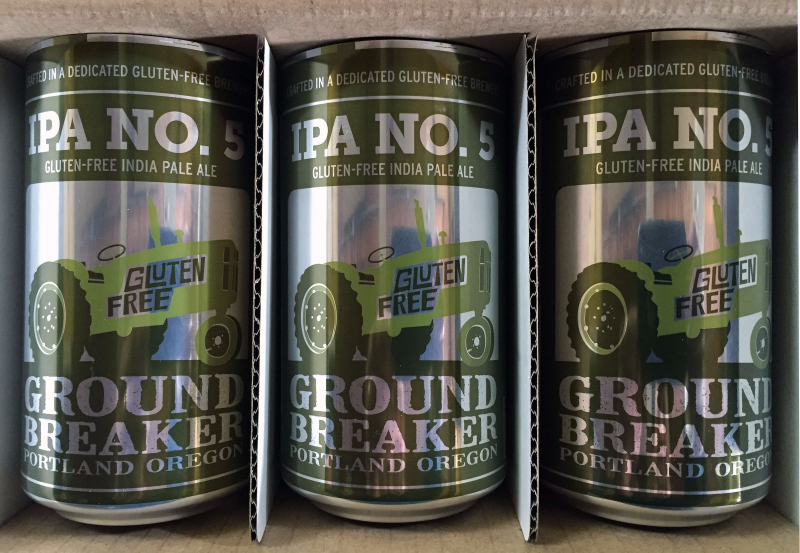 Ground Breaker’s goal is to have these two beers available in 12 ounce cans by middle of June throughout its distribution map of Oregon, Washington, Idaho, British Columbia and Alberta. For those outside this footprint, Ground Breaker’s beers can be ordered online from Bring on the Beer. As the release of Ground Breaker in cans grows near, we are very excited to officially announce some new changes to our year-round lineup of beers. First, we will be making IPA No. 5 our one year-round IPA. James Neumeister, head of R&D, is always looking at ways to make even better beers, and with the overwhelmingly positive response to IPA No. 5, it has become clear to us that we’ve created something special. IPA No. 5 is brewed with roasted chestnuts, roasted lentils, and Belgian-style candi sugar. A variety of Northwest hops give it a complex flavor profile, including pine, citrus, tropical fruit, and a touch of Crystal hop dankness. Already available in 22 ounce bottles and 20L kegs, IPA No. 5 will also be available in 12 ounce cans by mid-June. For those of you who love IPA No. 4, don’t worry. It’s not exactly going away. Reducing our main lineup to just one IPA will allow for more freedom when it comes to choosing seasonal releases, and we already have some exciting new ideas in the works. We’ll be able to try things that wouldn’t have been possible in a year-round beer, including the use of small quantities of hard to acquire hops. Olallie will be joining our year-round lineup as our second canned beer. Many visitors to the Ground Breaker Gastropub had expressed interest in a more sessionable beer, different from what is typically offered by the brewery. Over the last year, R&D ran many different test beers through the pub before settling on Olallie Ale, a light and dry ale brewed with blackberries and rose hips. A large amount of hops with low bittering potential were selected to give Olallie a delicious taste without a high level of bitterness. 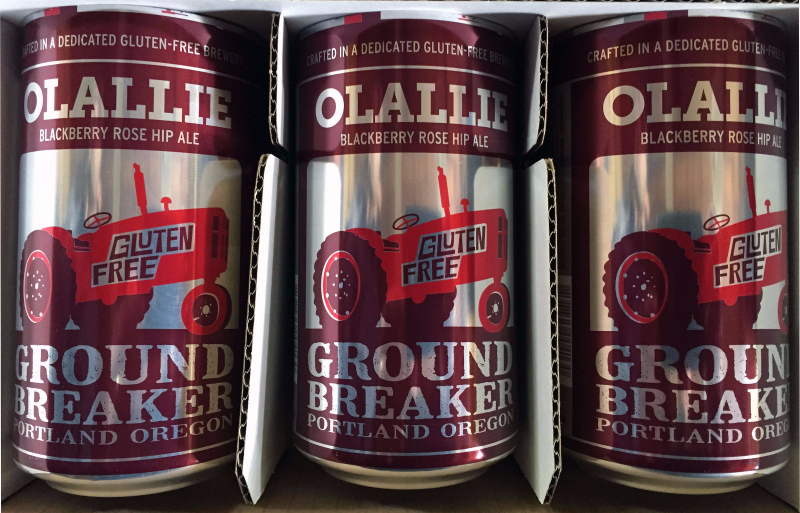 Olallie is currently available in 20L kegs, and will be available in 12 ounce cans by mid-June.